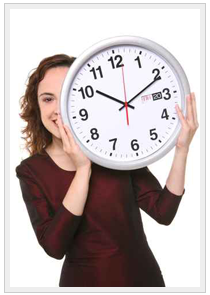 Face Recognition Solution's time attendance system can be used to track the time spent by the individual in a particular premise. Our time attendance system can be very well utilized at different premises like in corporate, hospitals, education institutes etc. This biometric solution is exclusively used for managing the time related data. The biometric time attendance system is built to work on different premises without any extra hassles. Biometric time attendance system is based on face recognition technology. That implies the biometric solution eliminates the usage of the buddy punching method and emphasizes on capturing the facial details along with the time. These data are then stored in the database of the computer so that they could be retrieved anytime. With the usage of the biometric time attendance system, it eliminates the need of the paper register which was in use earlier for recording the attendance along with the time. Our time attendance system helps in recording the timing data of the individuals that might be used for arranging different shifts timings, scheduling of the staffs in various arenas, leave calculations, arrival and departure of the individual in the premise and can also help in knowing the time of the late comers and the workers doing over time. It is the simplest technology to be used for managing the time related data. It achieves utmost accuracy in noting the timing data. The easy installation procedure of this system is relatively simple. It reduces the amount of data loss as, it emphasizes on electronic data storage. It is based on 'no human touch' technology. The biometric time attendance system can also be compiled with payroll software in order to generate the salary of the individuals in an organization. Thus, this face recognition system can also reduce the work load from the departments related to finance and can make the critical calculations easy and thereby can boost up the whole procedure. Our face recognition technology based time attendance system thus, can be installed in different places and thereby can achieve various agendas.